Tridel now introduces 101 Erskine. This smartly tailored glass condo residence with a contrasting tonal profile is strategically tucked away, mere steps from the energy of midtown Yonge and Eglinton in Toronto. Yet this venerable neighbourhood Walkscore is also just moments from the subway, prestigious shops and superb dining. 101 Erskine’s modernist sensibilities are echoed in its clean linear exterior design and refined interiors: charcoal grey, white and clear glass, copper clad front entry, stunning lobby, rooftop terrace with infinity pool and outdoor fireplace lounge, sublime entertainment spaces with private courtyard, alfresco dining lounge, sleek fitness amenities, even a linear park walkway creating a link between Broadway and Erskine. 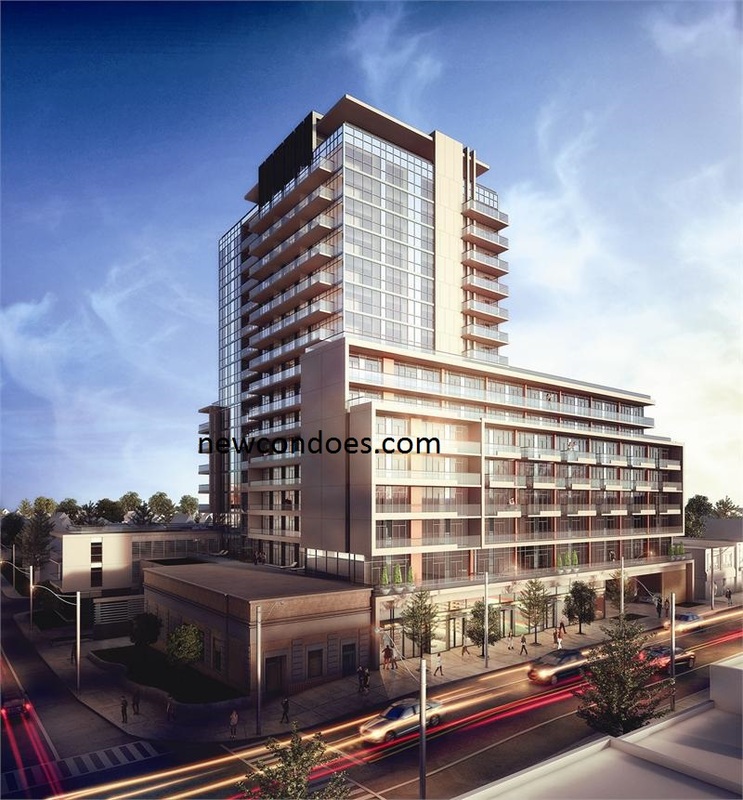 Elegant Studio, 1 bedroom, 1 bedroom plus den, 2 bedroom and 2 bedroom plus den suites with 9′ ceilings and 10 signature townhomes feature distinctively modern styling and finishes one would naturally expect from this coveted address. 101 Erskine. Anything but ordinary. 101 Erskine will be Rising to 32 storeys high and will accamodate 421 Suites and 10 Townhomes. Estimated completion Summar 2015. 101 Erskine Condos follows the amazing success of The Republic, which launched in 2007. Only four days after phase one of the community was launched, at 25 Broadway Avenue, phase two was launched at 70 Roehampton. 101 Erskine Condominiums is just one block north of Broadway Avenue and the brand-new high school. There will be a park walkway between the two avenues, adding to the community feel of the neighbourhood. 101 Erskine is also a “walker’s paradise” with a Walk Score of 95 out of 100, meaning that almost everything you could need — groceries, restaurants, parks, banking and more — is within walking distance. Amenities: Fitness centre, party room, billiards lounge, fireplace lounge, concierge, yoga studio, theatre, sauna, infinity pool. 101 Erskine. Celebrating the richness of life. By indicating your interest in 101 Erskine Condos at this early stage, you’ll be among the first to be invited to view Price List and Floor Plans and take advantage of coming in to our member circle.